"A vision appeared to Paul in the night: a certain man of Macedonia was standing and appealing to him, and saying, 'Come over to Macedonia and help us.' … immediately we sought to go into Macedonia, concluding that God had called us to preach the gospel to them" (Acts 16:9-10). The Macedonian call is not a call to become a missionary or to the Gospel Ministry. It did not come to those who were doing nothing. The call came to those who were actively serving Christ. It was a clarification of the direction as the Holy Spirit was leading them in an existing ministry. In the context of Acts 16 the Holy Spirit was closing doors and opening doors. The sovereign Spirit was leading His workers to the right opportunities for ministry. As soon as they were sure the guidance was from the Lord they quickly obeyed. Through the past 56 years I have watched and experienced the Holy Spirit leading in a similar manner in my life. Paul was retracing his first missionary journey "strengthening the churches" when he received this call in Acts 15:41. The "churches were being strengthened in the faith, and were increasing in number daily" (16:5). My ministry has concentrated on training pastors and leaders in local churches. Wil teaching leaders in a Quichua church. 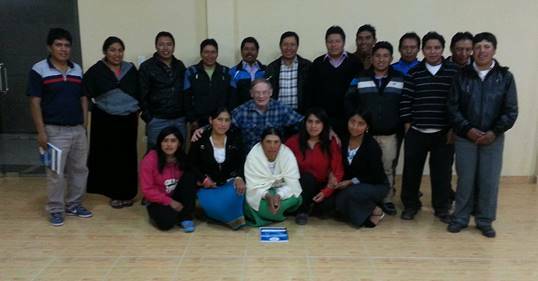 I taught a 40 hour seminary course on the doctrine of the Holy Spirit at the Peniel Theological Seminary extension in Yaruquí, near the capital city of Quito. The student's questions and small group discussions were relevant to many of the problems faced in Quichua churches today. Wil teaching at San Juan Guabo mission in Ecuador. 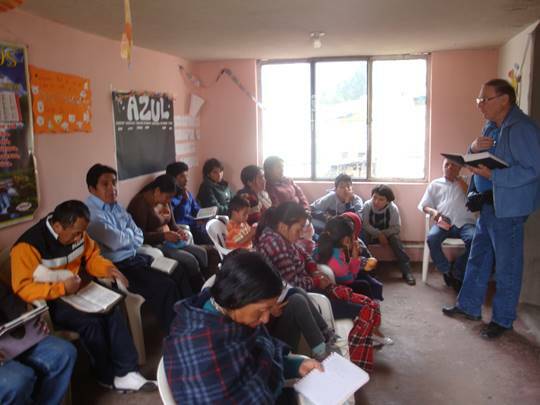 Each trip to Riobamba also involves ministry in local churches. During the past year the mission in the town of Guabo has grown to fifty in attendance. Pray as they seek a piece of property for a building. 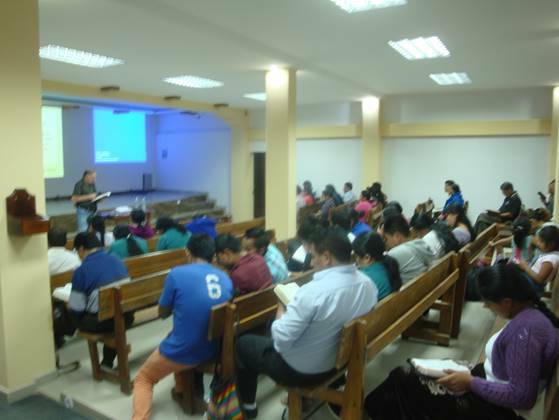 I did a mini two day conference on how to maintain sound doctrine in the Nuevo Amanecer Quichua Church in Riobamba. 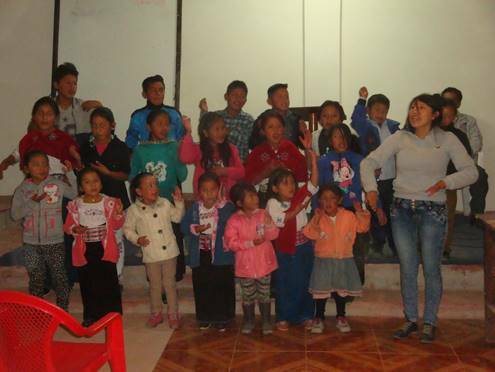 Quichua children singing at Genesis Bilingual Church in Riobamba, Ecuador. 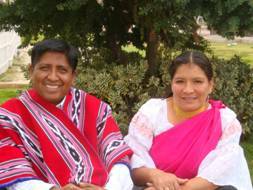 Peniel Theological Seminary has grown from 13 students six years ago to 200 at the present time. 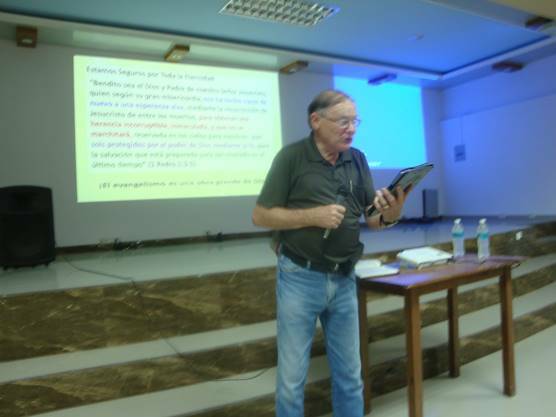 Classes are held in the home of Alberto Copa, and the extensions in churches in different parts of the country. We have been praying and searching for property at a reasonable cost. At the January 2016 board meeting the trustees voted to pursue the purchase of a favorable piece of property. 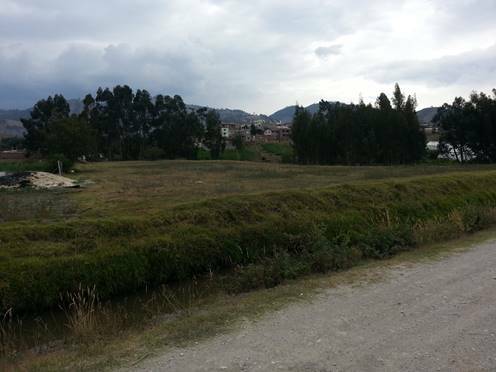 During the last two years the Lord has provided $38,000 for purchase of property. In the initial negotiations the owner came down $17,000. We will still need $30,000 to finalize. Please join with me in prayer for the Lord to lay on the heart of 300 people to provide $100 each in the next 3 months. The board will sign the contract for purchase in the next few days. I want to stand back and say I saw God do it. When I challenged the board to pray in this manner, I said Ann and I will give a hundred right now, and each member responded: "Yes, I can do that, too." $40,000 scared them to death, but $100 was feasible. During this month we have seen the Lord provide almost $10,000. Please pray that the Holy Spirit will burden 300 people to give $100 to complete purchase of land for Peniel Theological Seminary. Paul wrote to the Philippian church 10 years after his visit in Acts 16 saying: "I am sure of this, that He who began a good work in you will bring it to completion at the day of Jesus Christ" (Phil. 1:6). I am also convinced He will do the same thing in these churches, and this new ministry with the Shuar people, and the Quichuas at Peniel. 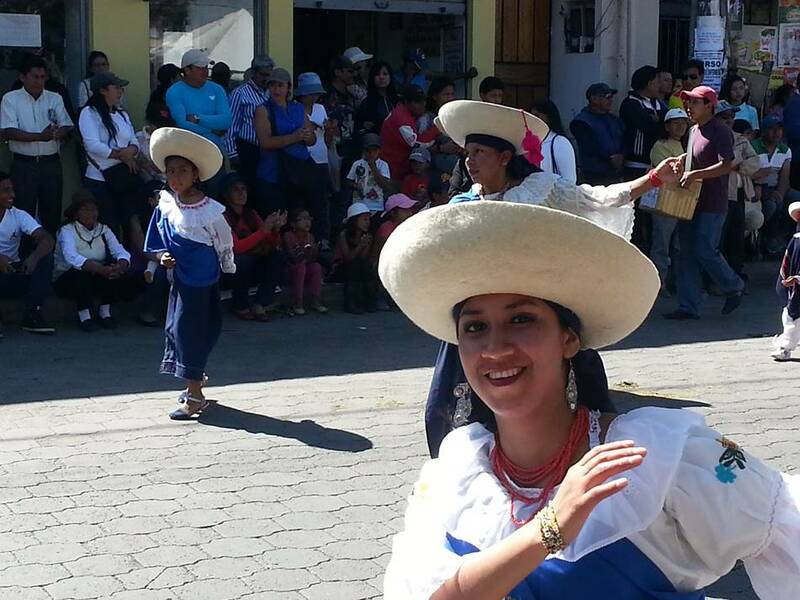 Otovalo dancers at Pifo, Ecuador fiesta. 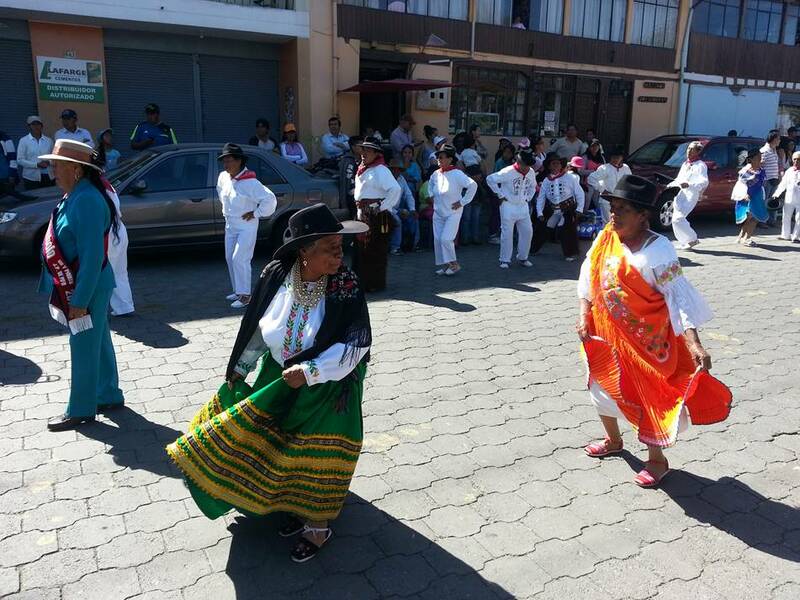 Traditional dances at Pifo fiesta.